In the thoroughly modern Ecosciences Precinct by the Boggo Road Gaol, Opera Oceania honoured the 200th birthday of Maestro Giuseppe Verdi with their production Viva Verdi. 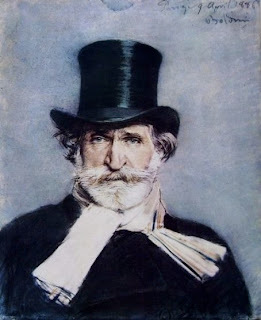 The repertoire was a selection of some of Verdi’s best-known arias from opera such as Rigoletto and La Traviata with a few surprises from Otello and Il Trovatore. Fortunately, each aria was preceded by a short explanation for those amongst the audience who were not clear on their overly-complicated opera plots. In such a no-nonsense venue, accompanied only by a piano keyboard (played expertly by John Woods) the audience can truly appreciate the magnificence of the human voice. With no orchestra to hide faults or override the pianissimo passages there is only the voice and the words for the opera-loving audience to appreciate. As a venue, the Ecosciences Precinct certainly had the soaring ceilings reminiscent of concert halls but the all-glass surrounds and overhanging walkways did no favours to the Soprano and Mezzo-Soprano in particular. Joshua Rowe, Baritone, put on the performance of the day with 'Per me giunto è il di supremo' from Don Carlos. His magnificent tone did not disappear into the glass walls and he imbued the aria with tragic emotion as the dying Rodrigo. Viva Verdi was produced by Opera Oceania. You can find out more about them through their Facebook page. Review of Viva Verdi presented as part of the 2013 Anywhere Theatre Festival.